The Parks & Recreation Board meetings are at 7 pm on the second Wednesday of each month at City Hall unless otherwise noted. All meetings are open to the public and citizens or groups that would like to attend are welcome. If you would like to discuss a specific topic, please call our office at 614-342-4250 prior to the meeting. The Gahanna Parks & Recreation Board consists of seven appointed members: three by the Mayor, three by City Council and one member of the Gahanna-Jefferson School Board. Board Agendas and Minutes are now available on Legistar. The Landscape Board will meet Wednesday, August 8 at 6pm at City Hall. The Landscape Board meets at 6 pm in January, April, August, and November at City Hall unless otherwise noted. All meetings are open to the public and citizens or groups that would like to attend are welcome. If you would like to discuss a specific topic, please call our office at 614-342-4250 prior to the meeting. 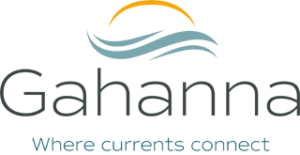 The Gahanna Landscape Board consists of five members appointed by the Mayor and City Council. Are you interested in participating on a Gahanna Department of Parks & Recreation committee? We welcome residents to attend meetings or to volunteer on any of the committees listed below. For more information, please contact us at 342-4250, or by emailing parksandrec@gahanna.gov. The Parks & Recreation Board has reformed the Bicycle Advisory Committee, originally formed in 1995 and instrumental to the formation of our 1999 Bikeway Plan. This committee meets on a regular basis. If you are interested in volunteering on the committee, please complete the Committee Volunteer Registration and return it to Parks & Recreation at 200 S. Hamilton Rd., Gahanna, Ohio 43230 or email it to parksandrec@gahanna.gov. The Gahanna Active Senior Advisory Committee meets regularly to provide input and suggestions regarding our Active Senior programs and the Gahanna Senior Center. Committee members must be members of the Senior Center. The Parks & Recreation Board has formed a Natural Resources Advisory Committee, tasked to inventory the natural resources in each of Gahanna’s parks. Community involvement is welcomed. This committee meets on a regular basis. If you are interested in volunteering on the committee, please complete the Committee Volunteer Registration and return it to Parks & Recreation at 200 S. Hamilton Rd., Gahanna, Ohio 43230 or email it to parksandrec@gahanna.gov.